People are finding out that artificial grass reduces grass allergies. This is a good thing because the time of year known as allergy season is almost upon us. For many, natural sod is the root of their unwanted symptoms. They no longer need to suffer from the health problems that the real thing causes for them. However, it is the pollens that are found in natural turf that lead to their symptoms. Artificial grass reduces grass allergies because it has none of those pollens. In fact, at Watersavers Turf, a premier distributor of synthetic lawn all our products are certified to be non-toxic and lead-free. They also look great, feel great and are very easy to care for. You will have no more feeding, weeding, mowing or watering to worry about. Your grass allergies are reduced with artificial grass, as are your yard chores and water costs. So, don’t sneeze at the idea of using fake turf. It might just prove to be a win-win for you and your yard. People may want to learn about managing grass allergies with synthetic turf because the 2017 allergy season is going to be a bad one for the SF Bay Area. This is due to the very wet winter that has just past. More rain leads to more growth, and that means a lot more pollen. All those heavy winter rains can also cause more mold to grow. Between the pollen and mold, people with allergies are going to suffer more. There will be more sore throats, runny noses, watery eyes, skin rashes, and sneezes. It can be very hard to focus on work life or home life when symptoms like these have taken over. That’s why managing grass allergies with synthetic turf can be such a game-changer. If your yard had our lush, green faux sod in it, all that pollen would be gone. Mold would also not be a problem because water flows through our products. Our turf drains water right away due to the design of our mesh backing. If pollen is a health problem for you or a family member, managing grass allergies with synthetic turf is a great way to solve it. 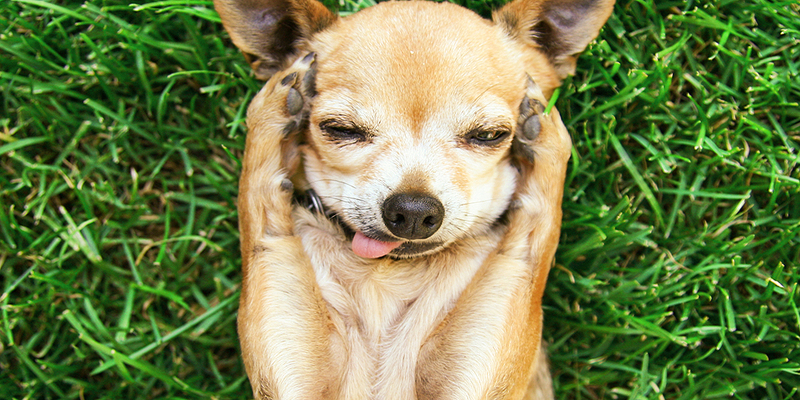 Aside from helping you, our products can get rid of your dog’s grass allergy too. Dogs enjoy playing in the yard so much that it must always be a good thing for them, right? Yet, if they have an allergy to grass, plant and/or tree pollen, it isn’t. However, you can breathe easier and get rid of your dog’s grass allergy too by using fake sod in your yard. Our artificial turf lets you enjoy your yard more and work on it much less. You won’t need to mow or water your faux lawn. You won’t have to weed it or fertilize it. The only care it will ever need is to sweep or rake it every so often. Who wants to be stuck indoors on a lovely spring or summer day due to an allergy? For that matter, who wants to spend an entire day like that doing yard work? When you use our quality artificial turf in your yard, it becomes a place you can reclaim. A big part of your enjoyment will be how good your yard always looks with artificial turf. Today’s products look very real and can stand up to harsh weather. All our products are fully backed by our 18-year residential (10-year commercial) warranty. You can read more about by clicking here. You can be more carefree and allergy-free with our plastic lawn. We all may need to learn more about ways to cope with the changes in our climate. Heavy rains, droughts, and extreme weather events of all types seem to be occurring more often. It does not fail in a drought. It does not get bogged down in heavy rains. Frost can’t kill it, and pests can’t ruin it. You can see why synthetic sod is fast becoming the new star of the landscape world. You can do almost anything with today’s plastic lawn. Cover a damp basement floor with it. Use it on an accent wall. Create an outdoor game board with it. Have your own putting green. All without the health issues that can be caused by grass pollen. Need a Guide to the New World of Synthetic Sod? At Watersavers Turf, you are always welcome to call us at 844-974-8873 with any of your questions. At our seven SF Bay Area locations, we can guide you through today’s world of synthetic sod. Stop by and pick up our large 1’ x 1’ samples for a close look at our products. Run your hands over them and really feel them. Talk to us about your ideas and let us show you how to make them happen. You can also chat with us online 24/7, and we are always happy to provide free estimates. The world of synthetic sod is always growing fresh new uses. So, learn more about them from the pros at Watersavers Turf.